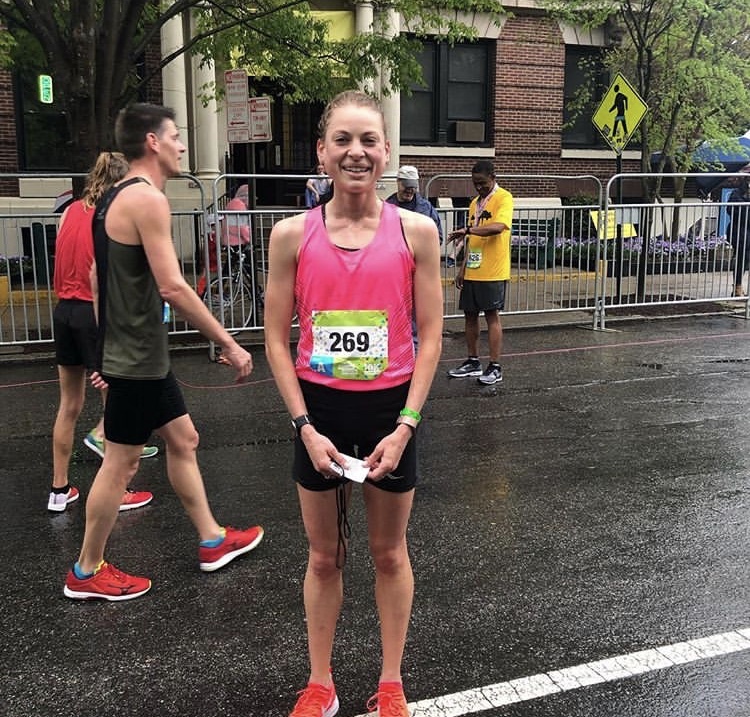 RICHMOND, VA – The Ukrop’s Monument Avenue 10k presented by Kroger kicked off its 20th annual running this morning with over 25,700 participants and continued with excitement in the men’s and women’s races. The 10k again hosted the Collegiate Running Association 10k Road Race National Championships, which drew several thousand college athletes to the streets of Richmond to compete for prize money. Although Germano and Sachtleben finished atop the standings, leading the pack today was Dash for the Cash contestant Brian P. Brown, a Mechanicsville resident and professor in the VCU School of Business taking part in his sixth Ukrop’s Monument Avenue 10k. 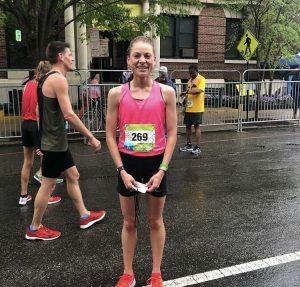 Brown was selected at random from over 15,000 people registered for the Ukrop’s Monument Avenue 10k as of February 1, and based on his past race results was given a head start of roughly two miles. For beating the rest of the field to the finish line, he takes home the $2,500 prize. This is the 12th year in a row that the Dash for the Cash contestant claimed the prize and the 13th time in the 15 years of the contest overall. In addition to over 25,700 registered 10k participants, 1,330 children ages 5-12 participated in the Virginia529 Kids Run. As part of the Kids Run, Bellevue Elementary was announced as the winner of the inaugural Mayor’s Cup competition. The Mayor’s Cup was awarded to the City of Richmond school with the highest percentage of students participating on race day in the Virginia529 Kids Run. In addition to earning the Mayor’s Cup trophy, Bellevue will host a victory celebration featuring a visit from Richmond Mayor Levar Stoney on Thursday, April 18, as well as receive $1,000 for the school’s run club to purchase new equipment. Full results are available at http://results.xacte.com/?id=2253. Registration for the 2020 Ukrop’s Monument Avenue 10k presented by Kroger will open on Monday, April 15, 2019. The 2020 race will take place on Saturday, March 28, 2020. Registration can be found at www.sportsbackers.org.